You’ve probably heard claims that we can boost our immune system by taking supplements, vitamins or eating certain foods. And if that’s true for us you may be wondering if that’s also true for your four legged friend. The purpose of this post is to clear up a few misconceptions about ‘boosting the immune system’ and whether it’s even a good idea for your dog. The immune system is very complex. It has many different jobs and it’s made up of several types of cells and proteins which all interact and have different jobs to do in fighting foreign invaders. Think of a tube map with thousands of crisscrossing, interdependent lines and you get the idea of the awesome complexity of the immune system. The immune system’s job is to keep out shady characters and if they were to get in to your dogs body to kill and eliminate them from the system so that they don’t cause illness or death. Those shady characters include proteins that can do damage to the body, viruses, bacteria, parasites and fungi, all sort of things that were they to enter your dogs body they would cause some form of disease. Collectively these are called pathogens. There are two parts of the immune system. The non-specific immune system act immediately and responds to anything that appear bad. It does not remember if it has responded to that pathogen before, it just recognises danger and seeks to eliminate that danger from your dog’s body. It’s first line of defence is to keep things out. The skin, mucus membranes and stomach acid all function to stop foreign organisms from entering the body. Should this fail, the second line of defence is attack and the non-specific immune system will bring it’s fighters and weapons to were the action is at. We’ve all seen this. Maybe your have a cut and you see blood flowing to the area, there is redness and swelling – inflammation at the site of infection. Although inflammation may be irritating, it is actually a sign that the immune system is doing its job. The other part of the immune system is the specific immune system. The specific immune system is not present at birth. It is learned as your dog’s immune system gets exposed to various pathogen’s. The specific immune system is a bit more sophisticated. It responds less rapid but the really cool thing about the specific immune system is that it has the ability to ‘remember’ enemies it has fought in the past. 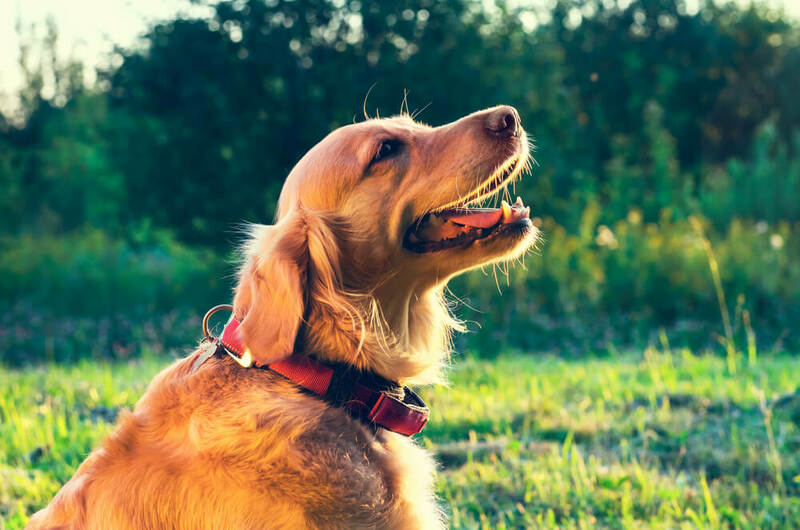 As a result, a previously encountered pathogen that tries to strike again will usually be wiped out even before your dog presents any symptoms. Once produced, these antibodies stay in you dog’s body, so that if his immune system encounters that particular antigen again, the antibodies are dispatched to kill the pathogen immediately. This is also how vaccines prevent certain diseases. A vaccine introduces the body to an antigen in a way that doesn’t make it sick but allows the body to produce antibodies that will then protect your dog from future attack by the pathogen that produces that particular disease. So with all that complexity in mind, let’s revisit the idea of whether your dog’s immune system can be boosted. Scientifically, the concept of boosting immunity actually makes very little sense. In fact, allergies and immune mediated hemolytic anemia are examples of an overactive immune system. And as we’ve just discussed one of the defense mechanism of the immune system is inflammation. So, if a product is boosting the immune system, is it activating the inflammatory response? If so, perhaps it’s not such a good idea. The fact is that if your dog is normal and in good health, there is nothing you can or should do to ’boost’ the immune system. Instead focus on maintaining a healthy balance. How to keep a healthy balance in your dog’s immune system? Exercise can contribute to general good health and therefore to a healthy immune system so make sure you and your dog enjoy plenty of activity. Exercise may contribute even more directly by promoting good circulation, which allows the cells and ‘special forces’ substances of the immune system to move through the body freely and do their job efficiently. Like any fighting force, the immune system army marches on its stomach so nutrition in the form of good, regular nourishment is also important. Scientists have long recognized that people who live in poverty and are malnourished are more vulnerable to infectious diseases. Thus, a high quality balanced diet is essential for your dog’s healthy immune system. And finally, maintain a healthy weight for your dog – lean dogs have happier, healthier and more mobile cells. This entry was posted in Blog and tagged best dog food, dog nutrition, dogs, healthy dogs, immune system.